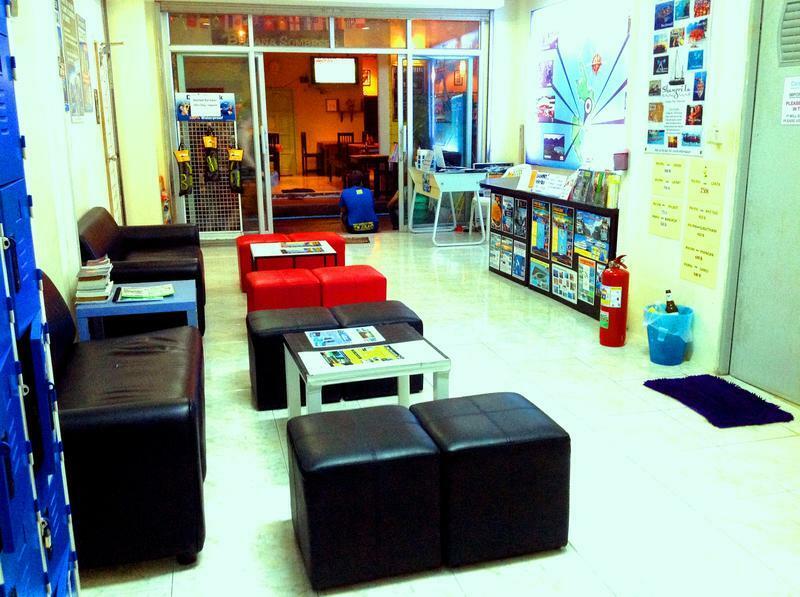 Centerpoint Hostel has a nice and large reception/common area. All the rooms and bathrooms are cleaned everyday, we have lockers in reception that are free to use, we have free wifi and all our rooms are air conditioned. Our beds are thick and comfortable and we provide warm blankets. Our friendly staff have lived on the island for a number of years and know all the best places to go, including little known beaches away from the crowds. We can also organize the best trips and activities, such as boat trips, cliff jumping and rock climbing! After coming off the pier, turn right and head into town. After 5 to 10 minutes you will go past a yellow bank and Dojo Bar, keep going in that direction. Soon after you will go past Irish bar, then Princess divers on your left, we are down the next side street on the right after Princess divers, across the road from a well known rooftop bar and restaurant called Banana Bar.